It’s the first day of spring, despite all evidence to the contrary, and Netflix is marking the occasion by announcing the latest crop of new arrivals. As of April Fool’s Day, you’ll be able to stream Lost Boys, Bad Boys, and, to complete the arc, The Family Man. In addition to older releases, the platform has also lined up new installments of The Joel McHale Show With Joel McHale and My Next Guest Needs No Introduction With David Letterman, as well as a new season of The Magic School Bus Rides Again. 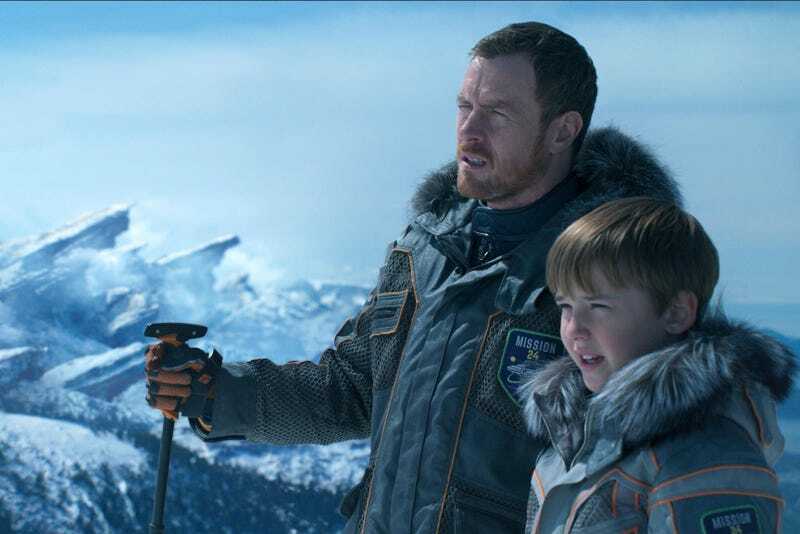 And for the intrepid explorers among you—or those who like to flail their arms at the first sign of danger—the latest Lost In Space reboot debuts April 13. But into every life a little rain must fall, especially in April, so Netflix is cutting loose Tim Burton and Joel Schumacher’s respective Batman movies (some are bigger losses than others, clearly), Eagle Vs. Shark, Never Let Me Go, and more. It’s also last call for The Shawshank Redemption, but Frank Darabont’s movie is probably playing on cable as you’re reading this, so you’re still covered. The complete list of comings and goings is below this sizzle reel. Netflix originals are denoted with an asterisk. Call The Midwife series 6: “Christmas Special 2017"